Image by Tom Gennara, © All Rights Reserved. Desmond Tutu is an Anglican archbishop emeritus of Cape Town, South Africa and recipient of the Nobel Peace Prize. 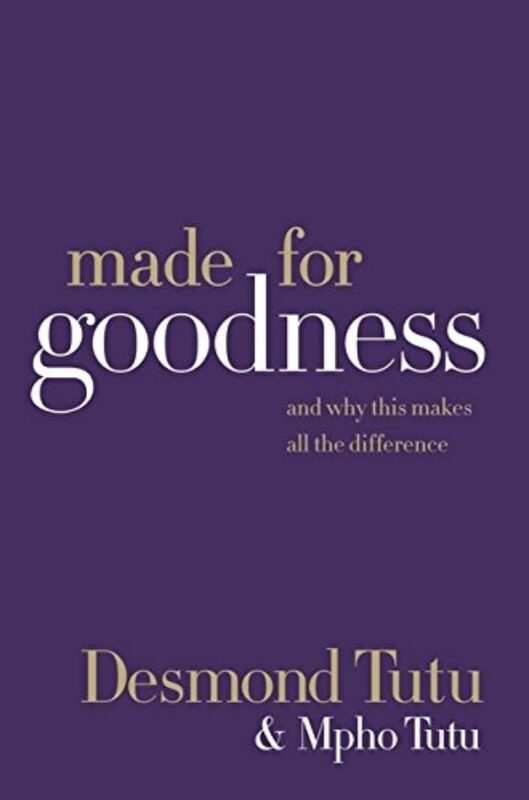 He has written many books, including, Made for Goodness: And Why This Makes All the Difference, and The Book of Forgiving. 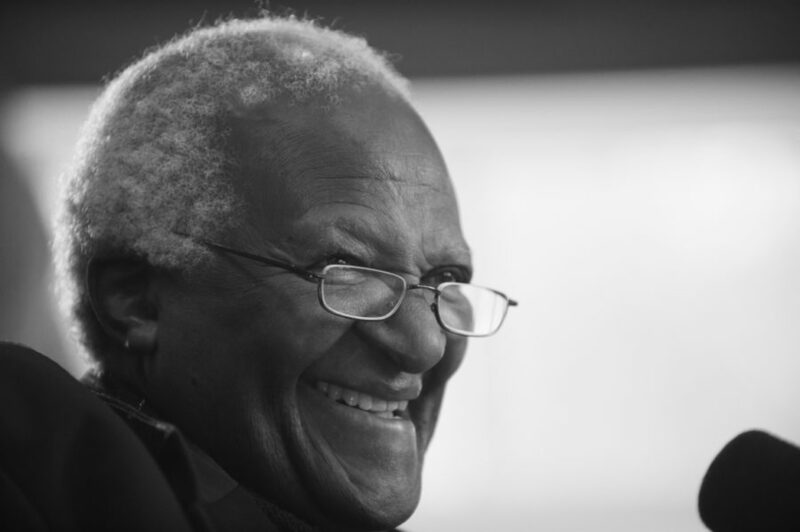 KRISTA TIPPETT, HOST: I’d been looking forward to meeting Desmond Tutu for years. And in those years, the world continued to evolve. So did the perspective of this Nobel laureate and archbishop emeritus. Tutu helped galvanize South Africa’s improbably peaceful transition from apartheid to democracy. Yet inequity and violence mark today’s South Africa in old forms and new. 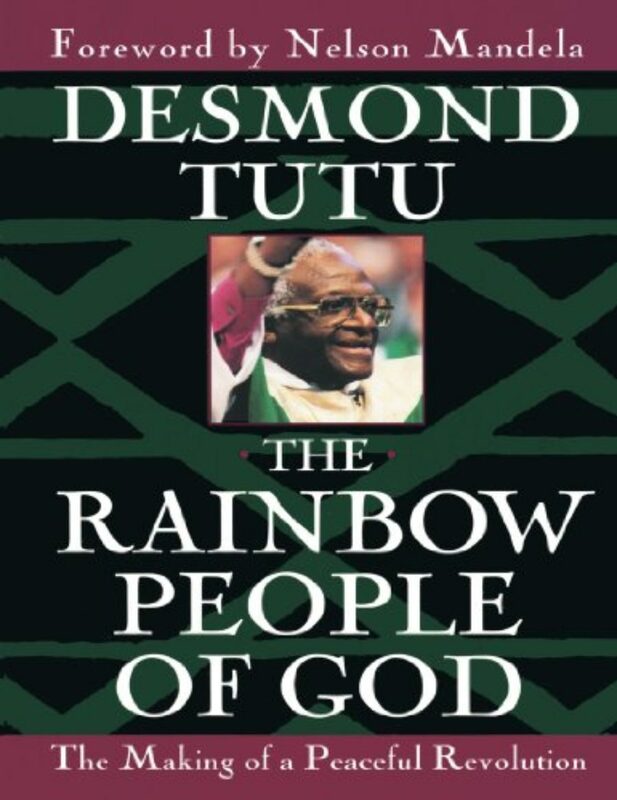 Desmond Tutu was also a leader in the religious drama that transfigured South African Christianity. But the Anglican Communion of Desmond Tutu is now caught in its own global conflict around sexual orientation and leadership. We discuss all these things this hour. 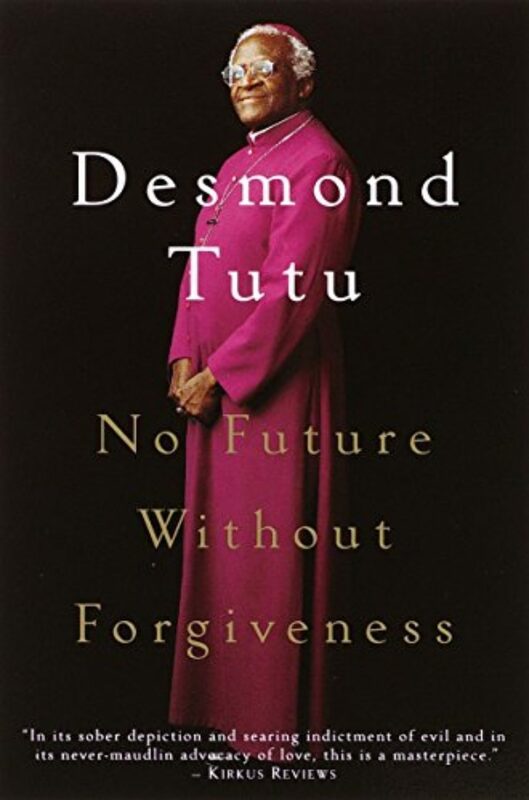 We explore how Desmond Tutu’s understanding of God and humanity has unfolded through this history he helped shape and even through his very present friendship with the Dalai Lama. MS. TIPPETT: I’m Krista Tippett and this is On Being. I interviewed Desmond Tutu in the woods of southern Michigan where he was on retreat in 2010, just months before he announced his retirement from public life. He disarmed me from the outset with his famously mischievous humor. I’d brought along a bowl of dried mangos, having been told by his staff that he is, quote “mad about dried mango.” And he noticed them as we were finding our seats before I could say anything. ARCHBISHOP DESMOND TUTU: There we go. And I notice, I mean, you’ve got a glass of water; I’ve got a glass of water. But then you have dried fruit. Why do you rate dried fruit and I not? MS. TIPPETT: [laughs] I brought this for you. MS. TIPPETT: Because your office told us that you love dried mango. ARCHBISHOP TUTU: Can we say a prayer first? ARCHBISHOP TUTU: Come, Holy Spirit, fill the hearts of thy faithful people and kindle in them the fire of thy love. Send forth thy spirit and they shall be made and thou shalt renew the face of the earth. Amen. 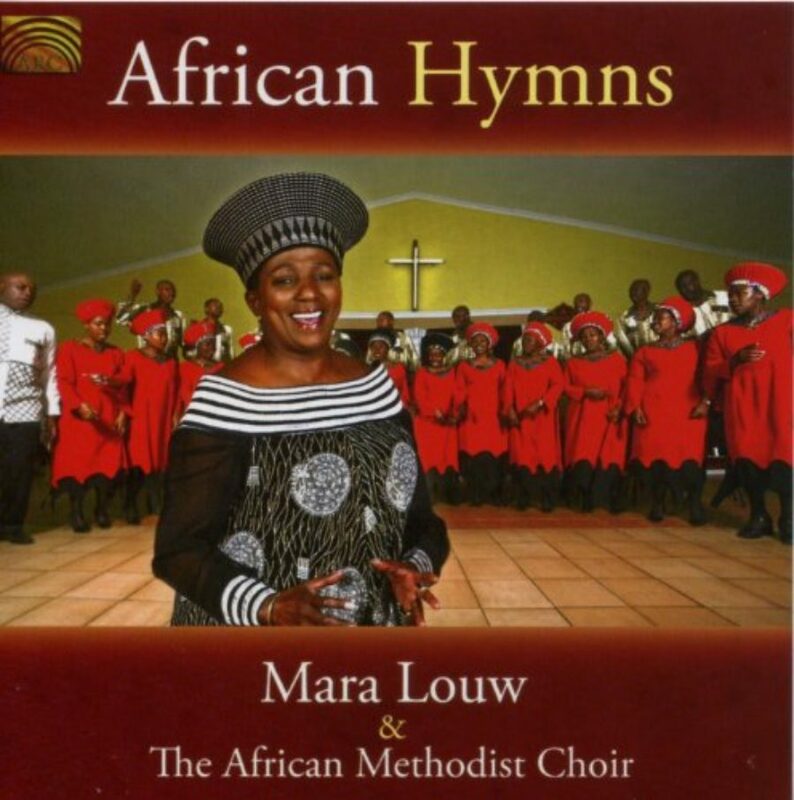 MS. TIPPETT: This hymn of the Xhosa language, “God Bless Africa,” is the joint national anthem of modern South Africa. 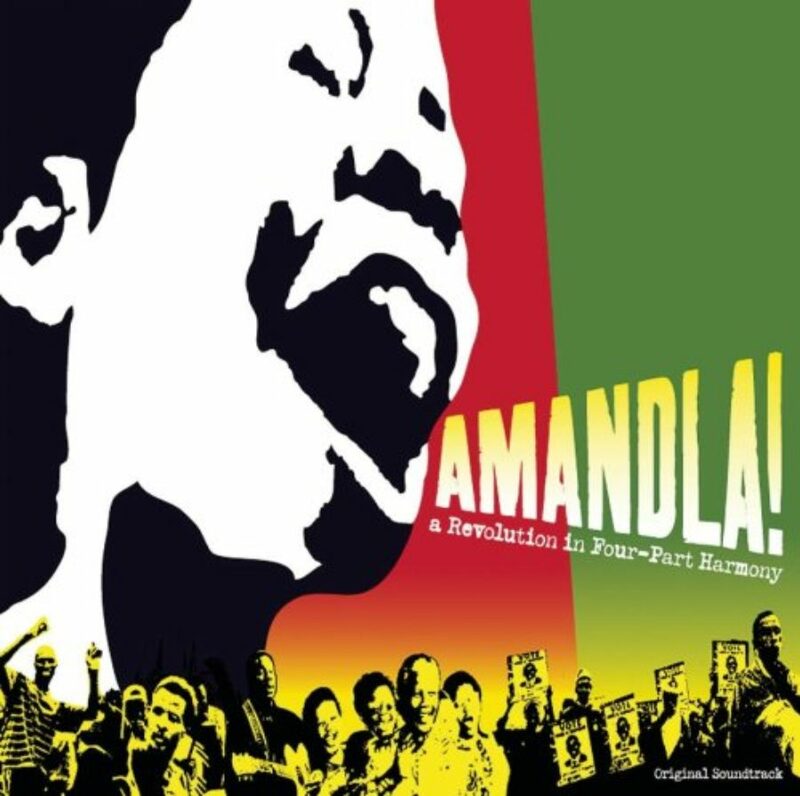 But when Desmond Tutu was born in 1931, it was an anthem of the anti-apartheid African National Congress. When the Dutch Colonial Afrikaner Nationalist Party came to power in South Africa in 1948, it decreed white supremacy in perpetuity, codifying the policy of apartheid, which literally translates as “apartness.” Comprehensive separation and brutalization of the 80 percent majority population of non-whites became the law of the land. Desmond Tutu grew up, like other black children, in a ghetto township marked by deprivation. He stresses that his childhood was not devoid of joy. Children adapt; he played with his friends. But there were many moments which he traces as early stirrings of his sense of injustice. And I wondered, as we began to speak, if Desmond Tutu’s personal spirit of resistance might also have roots in the Xhosa ancestry of his father. These were some of the earliest people to encounter and rebel against white intruders in the South African Cape some 300 years ago, the backdrop to all of the history Desmond Tutu has lived through and shaped. ARCHBISHOP TUTU: You know, they recently did a genome sequencing and found that through my mother I’m related to the San people, who are the earliest inhabitants of southern Africa and probably some of the earliest human beings. But I think, I mean, that the later resistance was because of various factors. You know, the people who influenced me, the schools that I went to. You know, at one time I worked for the World Council of Churches and we were based in London. I came from Africa. There was someone from Latin America, and he introduced me to Latin American liberation theology. And I came to visit for the first time in the United States and here encountered black theology. So all of that was a very significant part of what helped to open my eyes. ARCHBISHOP TUTU: Obviously I mean when you are living your life and you have this and that influence at the time when it happens you don’t sit back and say now this is a major influence and it’s going to turn me in to this or that. But you see I went to train for the priesthood in a seminary that was run by a religious community and one of my mentors was Trevor Huddleston who was just an incredible human being. 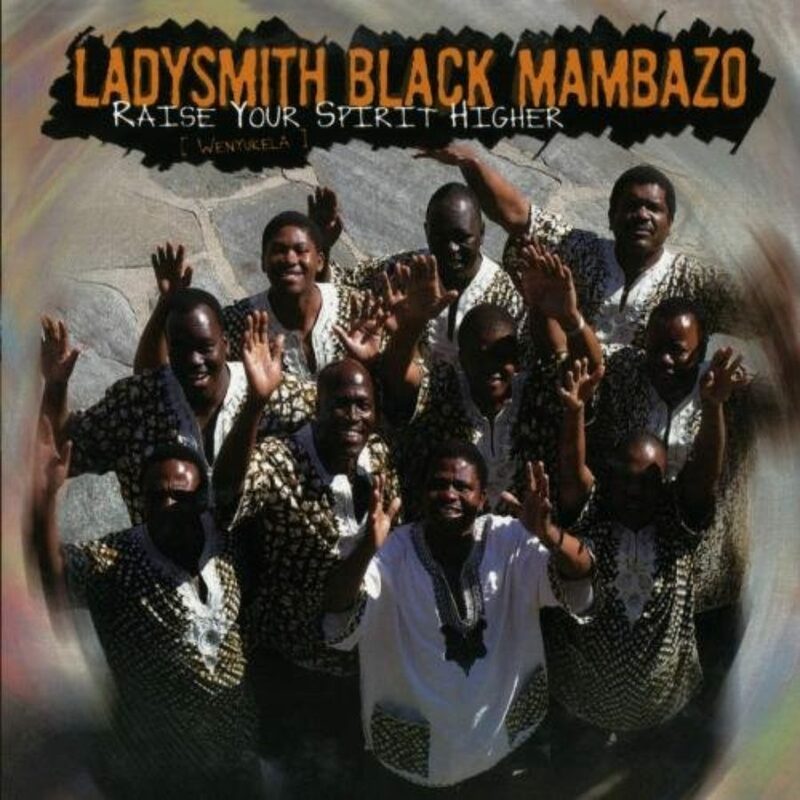 He had come from England and was a priest in Sophiatown, the black township to the west of Johannesburg. And when the apartheid government wanted to destroy Sophiatown he was amongst those who resisted like nobody’s business. And those are people who touched my life. Mercifully, there isn’t anything like the so-called self-made person. MS. TIPPETT: Right. You had spiritual companions. MS. TIPPETT: Can you recall one of those early discoveries as the Bible as dynamite? Some teaching that you suddenly saw as so relevant? ARCHBISHOP TUTU: Well, it’s actually right the very first thing. I mean, when you discover that apartheid sought to mislead people into believing that what gave value to human beings was a biological irrelevance, really, skin color or ethnicity, and you saw how the scriptures say it is because we are created in the image of God, that each one of us is a God-carrier. No matter what our physical circumstances may be, no matter how awful, no matter how deprived you could be, it doesn’t take away from you this intrinsic worth. One saw just how significant it was. 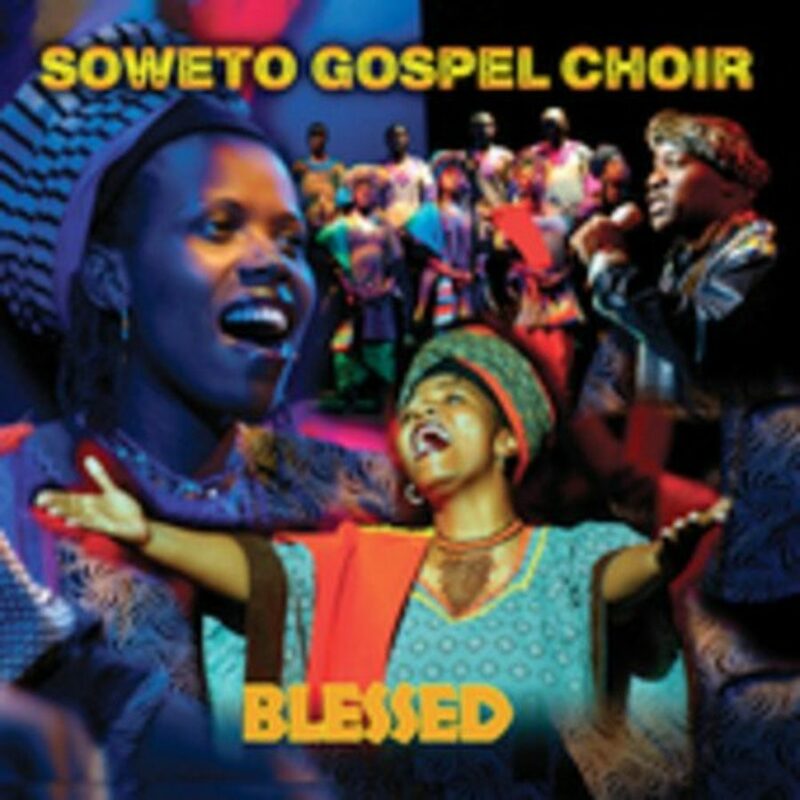 Although I was a bishop, I was working now for the Southern Council of Churches and had a small parish in Soweto. Most of my parishioners were domestic workers, not people who are very well educated. But I would say to them, “You know, mama, when they ask who are you” — you see, the white employer most frequently didn’t use the person’s name. They said the person’s name was too difficult. And so most Africans, women would be called “Annie” and most black men really, you were “boy.” And I would say to them, “When they ask who are you, you say, ‘Me? I’m a God-carrier. I’m God’s partner. I’m created in the image of God. '” And you could see those dear old ladies as they walked out of church on that occasion as if they were on cloud nine. You know, they walked with their backs slightly straighter. And, yeah, it was amazing. MS. TIPPETT: … experienced the events in South Africa, those decades leading up to the end of apartheid, primarily as political happenings. But there was a great religious drama at the heart of it, right? MS. TIPPETT: So on the one hand, the church, the Dutch Reform Church, the primary church in South Africa, sanctioned and sustained apartheid to near the end. And also, as you say, there was this parallel drama going on of religion, theology, the Bible becoming a great force of liberation. ARCHBISHOP TUTU: Well, one of the wonderful things was how in fact we had this interfaith cooperation — Muslims, Christians, Jews, Hindus. And now, when you hear people speak disparagingly about, say, Islam, you say they’ve forgotten the men that that faith inspired people to great acts of courage. MS. TIPPETT: And that coalition, those friendships, were they building in those latter decades of the 20th century? ARCHBISHOP TUTU: You discovered the thing you were fighting against was too big for divided churches, for divided religious community. And each of the different faith communities realized some of the very significant central teachings about the worth of a human being, about the unacceptability of injustice and oppression. Many times, actually, it was quite exhilarating. It was fun. MS. TIPPETT: And then there was that momentous occasion, I think was it 1990 when there was the first conference in 30 years to bring together the Dutch Reform leaders with these other churches? ARCHBISHOP TUTU: [laughs] Did I say that? MS. TIPPETT: You said that. It’s beautiful. ARCHBISHOP TUTU: [laughs] Yes. Well, I mean, God is a god of surprises. I mean, I’ve sometimes said God’s sense of humor is quite something, you know. I mean, an illustration of the sort of craziness — they had dealt with somebody called Beyers Naude. He was an Afrikaner who at one point said, “No, apartheid can’t be justified scripturally,” and for this he was turfed out of his church. I mean, they expelled him because they said he was a traitor. And so he joined up with blacks and others who were opposing. The Truth and Reconciliation Commission, which he chaired, met formally from 1995 to 1998. The TRC, as it was known, was conceived as apartheid unraveled in the early 1990s. Its basic premise was that any individual, whatever he or she had done, was eligible for amnesty if they would fully disclose and confess their crimes. The commission investigated human rights violations by both architects and opponents of apartheid. Victims were invited to tell their stories and witness confessions. Many families came to know for the first time when and how their loved ones died. MS. TIPPETT: I wonder, in the years that followed and in your experience of the Truth and Reconciliation Commission, what did you learn about why, as you said, one of the hardest things for human beings to do is to say, “I’m sorry.” I mean, what did you learn about forgiveness three-dimensionally that you didn’t know before? ARCHBISHOP TUTU: One was that I was amazed, first of all, at how powerful an instrument it is being able to tell your story. You know, I supposed psychiatrists understand that better than we. Just being able to tell your story, you could see in the number of people who for so long had been sort of just anonymous, faceless non-entities just being given the opportunity for something to rehabilitate them. But it actually was a healing thing. We had a black young man who had been blinded by police action in his township, and he came to tell his story. When he finished, one of the TRC panel asked him, “Hey, how do you feel?” And a broad smile broke over his face and he was still blind but he said, “You have given me back my eyes.” You felt so humbled that people would feel that that was how the healing for him would have taken place. ARCHBISHOP TUTU: As it happened, despite the fact that it was not a requirement, when people were applying for amnesty, almost always they would turn to the victims or the survivors or the family if the person had been killed, and they would turn to them and say, “Please. We know it’s very difficult but please forgive.” And, as I say, almost always the victims would. MS. TIPPETT: You know, in conversations I’ve had across the years of people who were around the Truth and Reconciliation Commission or were involved in it, they also talk, though, about it was truth and reconciliation and that those are different things and that they also learned about the distance that has to be walked between truth and even forgiveness — and reconciliation, which seems to be so much. MS. TIPPETT: To need so much time. I wonder where your thinking and your experience is now on that. Has reconciliation come to South Africa? MS. TIPPETT: What is the process that’s playing itself out now? ARCHBISHOP TUTU: I’ve always given people the example when they ask that question — “Have you achieved reconciliation?” — and I say, just look at Germany. West Germany and East Germany were separated maybe, let us say, 50 years. They speak the same language. They are the same ethnic group. Go to Germany even today and ask, has reunification helped? Are you reconciled? And it’s amazing to discover that they are still alienated from one another. Now that’s people speaking the same language. That’s people who have been separated for about 50 years. We had this separation for three centuries. MS. TIPPETT: Right. And it was a much more violent and brutal separation. ARCHBISHOP TUTU: About 300 years. We now have 11 official languages, so you can see, I mean, how many ethnic groups we have to have expected we would achieve reconciliation is the height of naïveté, I think. The act that set up the Truth and Reconciliation Commission has as its title “The Promotion of National Unity and Reconciliation.” It’s the promotion. It doesn’t say the achievement. MS. TIPPETT: Right. Right. It’s the process you’re setting in motion. ARCHBISHOP TUTU: That reconciliation is a process. It’s not something that is just an event. And we constantly were saying it is a national project where every South African has to make their contribution and it is a process. Not even the best commission could have achieved it for us. MS. TIPPETT: There is a lot of violence in South African society right now, and that violence is connected, as you say, to these 300 years that couldn’t possibly be resolved by the Commission. MS. TIPPETT: I mean, how do you think about what’s happening now and that as part of this project? ARCHBISHOP TUTU: I think, I mean, that we have very gravely underestimated the damage that apartheid inflicted on all of us. You know, the damage to our psyches, the damage that has made — I mean, it shocked me. 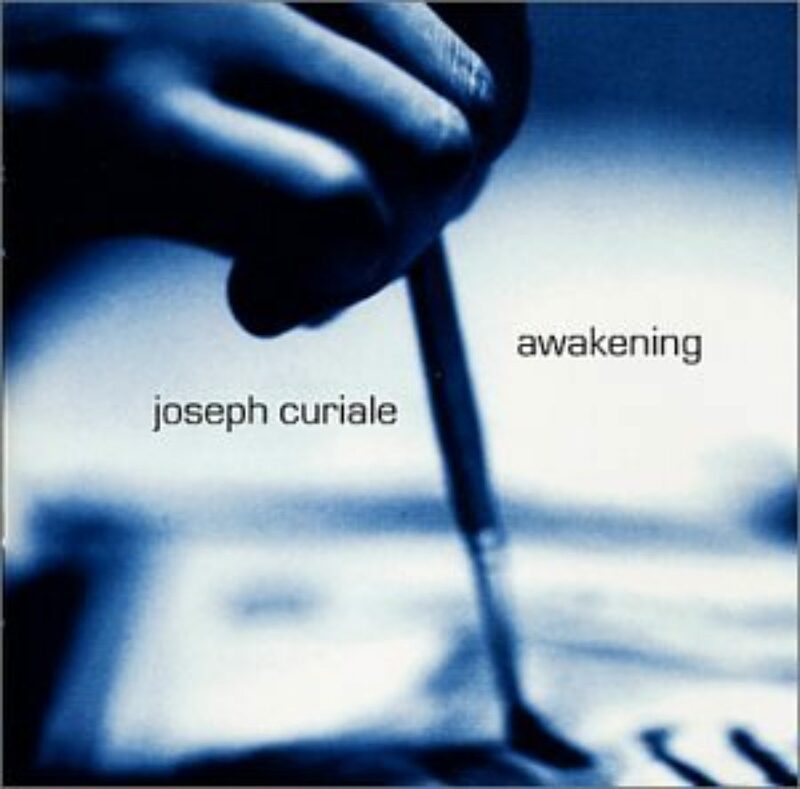 I went to Nigeria when I was working for the World Council of Churches, and I was due to fly to Jos. And so I go to Lagos airport and I get onto the plane and the two pilots in the cockpit are both black. And whee, I just grew inches. You know, it was fantastic because we had been told that blacks can’t do this. ARCHBISHOP TUTU: And we have a smooth takeoff and then we hit the mother and father of turbulence. I mean, it was quite awful, scary. Do you know, I can’t believe it but the first thought that came to my mind was, “Hey, there’s no white men in that cockpit. Are those blacks going to be able to make it?” And of course, they obviously made it — here I am. 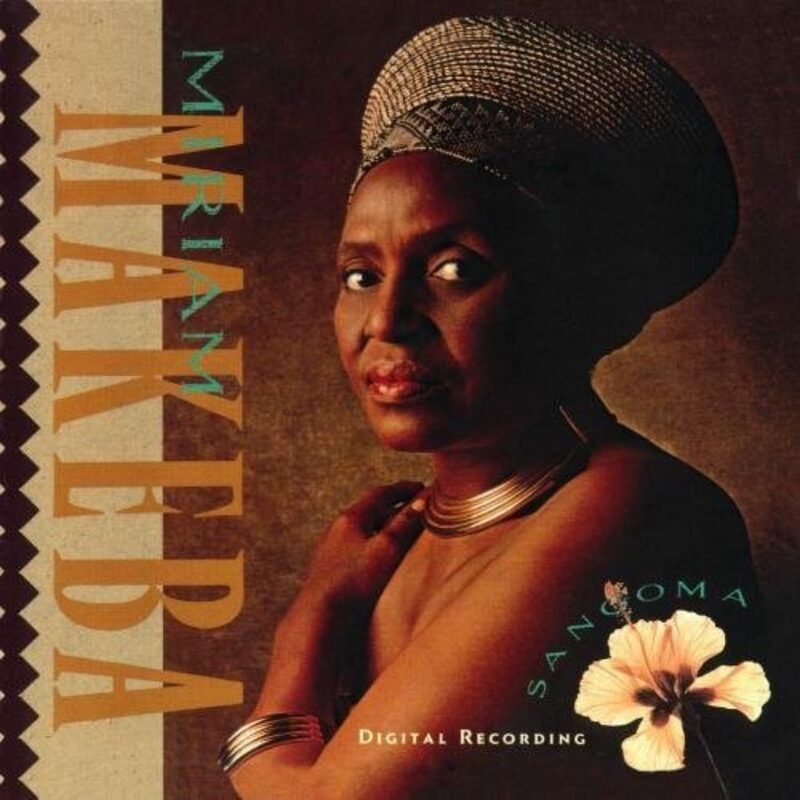 But the thing is, I had not known that I was damaged to the extent of thinking that somehow actually what those white people who had kept drumming into us in South Africa about our being inferior, about our being incapable, it had lodged somewhere in me. ARCHBISHOP TUTU: And so whilst we have had this process, which is an important process, we wouldn’t be where we are without it. We certainly are needing a great deal more, the most important being a recognition that we are damaged. We are wounded people. We accepted it to some extent. I mean, the commission realized that we were not a cut up of fellow South Africans, we were but wounded healers. And, you know, we used to make sure when we had these public hearings that the furniture demonstrated it. We didn’t sit on a platform higher than, but we deliberately sat on a level with the victims. MS. TIPPETT: At onbeing.org you can watch my entire conversation with Desmond Tutu. Here he is speaking at the National Press Club in 1999, the year after the TRC concluded its formal convening. MS. TIPPETT: I’m Krista Tippett and this is On Being. Today: “Desmond Tutu’s God of Surprises,” my conversation with the South African archbishop emeritus and Nobel laureate. We’re exploring his long view of the history he’s helped shape and how his understanding of God and humanity has unfolded through it. He’s been talking about reconciliation as an ongoing national project, not something that was perfected and completed with the end of the truth and reconciliation process in 1998. MS. TIPPETT: I think a lot these days about colonialism, which, as you say, it’s not just 50 years of apartheid; it’s 300 years. MS. TIPPETT: And it’s so ironic because also Western support for South Africa had to do with South Africa as a bulwark against communism and we — I mean, here I’m saying “we” — in the West have forgotten this. ARCHBISHOP TUTU: Yeah. Yeah. Well, you know, when things get rough, we also forget that we’ve been free for only about 16, 20 — 16 years, 1994. And how long have you been free? Three hundred years, something. MS. TIPPETT: Yes. Yes. Yes. ARCHBISHOP TUTU: I mean, when you think that you’ve had two world wars, you’ve produced the Holocaust, you’re produced ethnic cleansing, you’ve had dictatorships, I mean, in Spain, in Portugal, in Greece. MS. TIPPETT: Yeah. I like that. I wonder also, is it right you were 63 years old when you voted for the first time? What was that like? 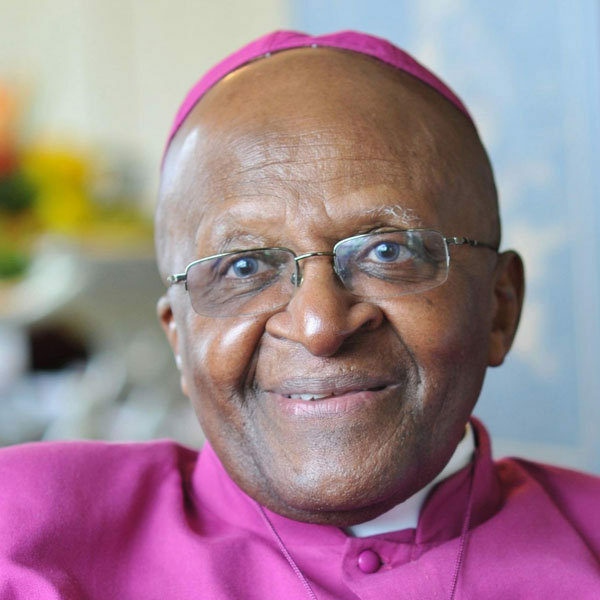 ARCHBISHOP TUTU: How do you describe falling in love? I mean, people asked then when we voted for the first time. It was an incredible experience. For you, going to the poll box is really a political act. For us, it was a religious act. It was a spiritual experience because, you know, you walked into the polling booth one person with all of the history of oppression and injustice and all the baggage that we were carrying and you walk and you make your mark and you put the ballot into the box and you emerge on the other side. And you are a different person. You are transfigured. Now you actually count in your own country. You — hey, I mean, it really was a cloud nine experience. We were transformed from ciphers into persons. MS. TIPPETT: You know, one thing that I feel also runs throughout your writing is how freedom in terms of politics, I mean, this freedom to vote, is absolutely something you demanded and needed to demand, and yet you also knew people across the years who were free while they were imprisoned. And there’s also this specter now of people who are politically free but not free in, I don’t know, maybe the deepest Christian sense, for example. MS. TIPPETT: So I wonder if you’d reflect a little bit on what you’ve learned about the limits of politics. ARCHBISHOP TUTU: Well, you know, I mean, you’ve got prepositions. The preposition “from” — you are free from and then you are free for. We have gone to being free from, which turns out to be one of the slightly easier things to get to do, although it took so long. ARCHBISHOP TUTU: The being free for, I tell you, is tough. You know? MS. TIPPETT: So what is the freedom for what that you now wish for, for your people? ARCHBISHOP TUTU: I think many of us were involved. I often say you know what? We didn’t struggle in order just to change the complexion of those who sit in the Union Buildings. The Union Buildings are something like your capitol and so on. Yeah. It wasn’t to change the complexion; it was to change the quality of our community, society. That we wanted to see a society that was a compassionate society, a caring society, a society where you might not necessarily be madly rich but you knew that you counted. I don’t think that we’ve got — yeah. I mean, we’ve got a number of the things, sort of material political things, not all of them. I mean, we have levels of poverty at home that are unacceptable. There’s the crime, there’s disease. We still do not, I think, have the kind of place where you say I really am proud to be here. I know that even when I don’t have a big bank balance I count, I matter. What we have found is that original sin actually doesn’t know very much about racial discrimination. Original sin infects all of us. I mean, when you see how so soon people have become corrupt, it leaves you feeling sad. Now retired as the archbishop of Cape Town, Desmond Tutu has become a somewhat controversial figure in the global religious landscape by insisting that sexual orientation, like racial equality, is a basic human right. In 2010, he published a book called Made for Goodness, in collaboration with his youngest daughter, Mpho, who is herself an Episcopal priest. 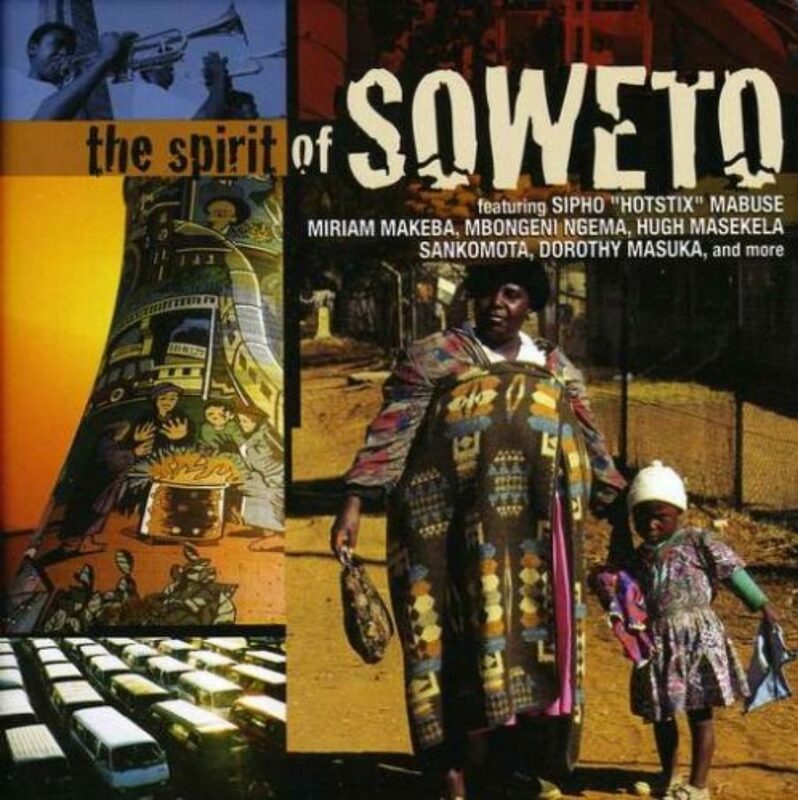 MS. TIPPETT: You know, words that you use, like hope, and hope as opposed to optimism, I’m with you there, that it’s different, and goodness, which is in the title of this new book you’ve written with your daughter, Mpho. Say as a journalist, it’s very hard to make those words as interesting and to make those words and the people you’re pointing at and the situations that are attached to those words, to make them seem as telling, as substantial, as violence, injustice, evil, war — have you thought about that? ARCHBISHOP TUTU: Well, yeah, but I have to say, you know, if you are devoid of hope then roll over and disappear quietly. Hope says, hey, things can, things will, be better because God has intended for it to be so. You know? At no point will evil and injustice and oppression and all of the negative things have the last word. And, yes, I mean, there’s no question about the reality of evil, of injustice, of suffering, but at the center of this existence is a heart beating with love. You know, that you and I and all of us are incredible. I mean, we really are remarkable things that we are, as a matter of fact, made for goodness. And it’s not a smart aleck thing to say; it’s just a fact. Because all of us, even when we have degenerated, know that the wrong isn’t what we should be, isn’t what we should be doing. We’re fantastic. I mean, we really are amazing. MS. TIPPETT: You know, you told a story at a conference in 1990 about a man during the apartheid era and of his village that had been demolished. People were being uprooted and he prayed, “Thank you God, for loving us.” And you wrote, “I’ve never understood that prayer,” but I think people might look at you and the life you’ve lived and also, you know, the bad things that continue to happen in South Africa and all the rest of the world, and say, “This guy says this is a moral universe?” And there’s this line you’ve just echoed, you’ve written this so many times, “God is in charge,” and they might also say, “How can he say that?” I mean, tell me, you’ve been saying God is in charge for a long time, for decades. And so what do you mean when you say that and what that means to you, has that changed? Has that evolved? ARCHBISHOP TUTU: But don’t you believe this? I mean, when you encounter somebody good — just take the Dalai Lama. MS. TIPPETT: Right. Your friend the Dalai Lama. MS. TIPPETT: And they still flock to hear him. ARCHBISHOP TUTU: No, no. I mean, I must tell you, actually, I’m not jealous. But, I mean, look at the number — I mean, he can fill Central Park. MS. TIPPETT: Mm-hmm. So, I mean, this is another question I wanted to ask you. I’ve talked about, you know, how has your sense of reconciliation developed and, you know, how has your sense of Christian truth evolved through experiences you’ve had coming out of apartheid with the Nobel Peace Prize. For example, your friendship with the Dalai Lama, this great Tibetan Buddhist leader. ARCHBISHOP TUTU: Yes. Do you really think that God would say, “Dalai Lama, you really are a great guy, man. What a shame you’re not a Christian.”? ARCHBISHOP TUTU: I somehow don’t think so. I think God is just thrilled because no faith, not even the Christian faith, can ever encompass God or even be able to communicate who God is. Only God can do that. MS. TIPPETT: … and you are now an archbishop in the Anglican Church. ARCHBISHOP TUTU: Isn’t that an example of God’s sense of humor? MS. TIPPETT: It’s really amazing. It’s amazing. And that church now, globally, is very divided over issues of sexuality, and you have applied your experience in apartheid in a pretty provocative way in terms of where you come out on that. ARCHBISHOP TUTU: Well, you know, there are, yes, many in Africa in the Anglican Church who hold views that I wouldn’t hold myself over this. And I’ve often said what a shame. I mean, really, what a disgrace that the church of God in the face of so much suffering in the world, in the face of conflict, of corruption, of all of the awful things, what is our obsession? Our obsession is not ministering to a world that is aching. Our obsession is about sexual orientation. I’m sure, I mean, the Lord of this church looking down at us must weep and say, “Just what did I do wrong now?” Because our church has been, in many ways, wonderful. I mean, you know, in its being comprehensive. MS. TIPPETT: Right, right, right. ARCHBISHOP TUTU: It’s something we’ve boasted about, the comprehensiveness of our church, where we see we hold points of view that are often diametrically opposed. ARCHBISHOP TUTU: But we remain in the same family. MS. TIPPETT: So your work continues, your work of reconciliation. ARCHBISHOP TUTU: No. I’m retired. MS. TIPPETT: Desmond Tutu is South African Archbishop Emeritus. 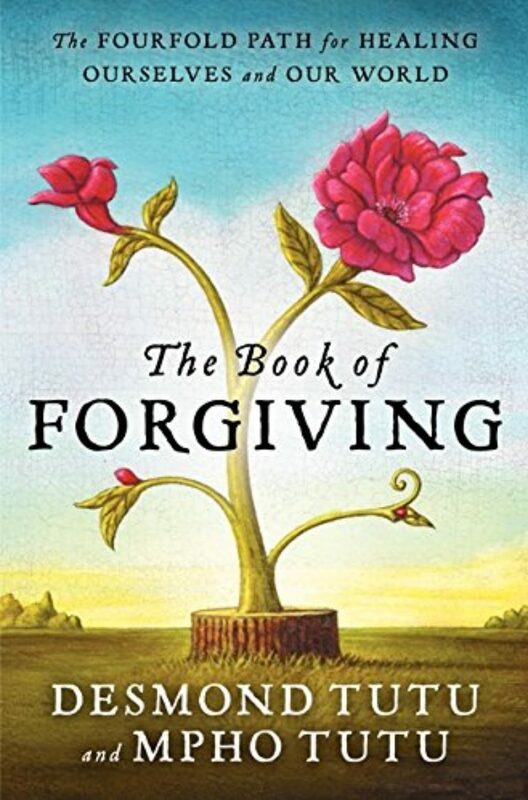 He has a wonderful new book out this month, a kind of handbook on forgiveness called, The Book of Forgiving. You can watch my playful encounter with Desmond Tutu from start to finish on our website, onbeing.org. 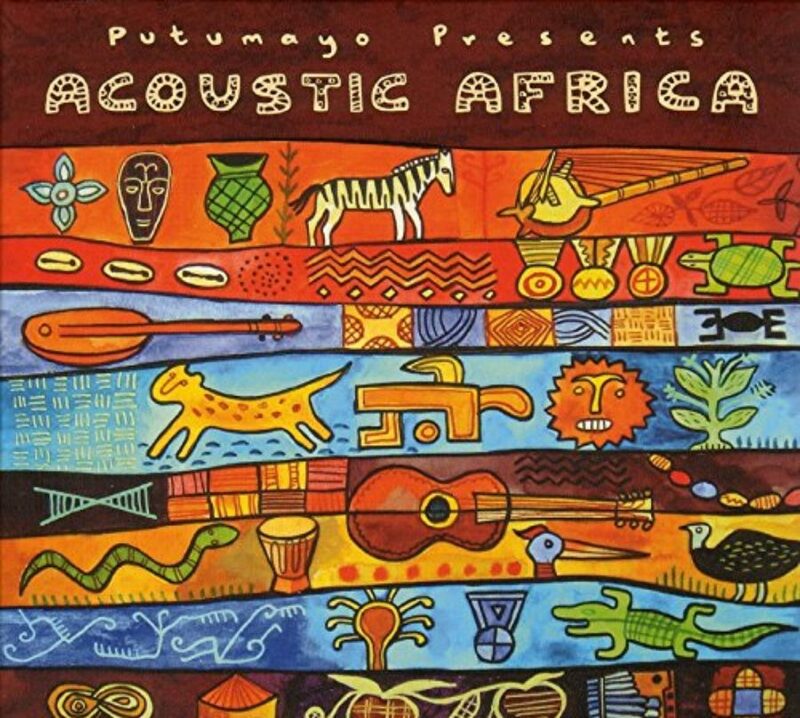 You’ll find links there to all of the music we used in this program, some of the soundtrack if you will of South Africa’s vivid culture and history. I actually began talking with Desmond Tutu about some of this music after our interview ended. I asked him about one Xhosa Christian hymn in particular that I’d read was played at his 50th wedding anniversary celebration. He couldn’t immediately remember how it goes, and he and a colleague began to trade snippets of lyric and melody back and forth across the room. MS. TIPPETT: I love that. Well, that’s beautiful. Thank you. On Being is Trent Gilliss, Chris Heagle, Lily Percy, Mikel Elcessor, Mariah Helgeson, and Joshua Rae. Special thanks this week to Fetzer Institute, where Desmond Tutu was on the retreat.